Dr. Hans Jenny first published a book on sound or cymatics in 1967 and showed the world, among other things, that sound can change matter. He played specific tones or frequencies to a metal plate covered with sand and noticed the exact shapes were formed with each note or frequency. Later studies used different materials, oil, water, etc. but all with the same results showing that a specific frequency created a specific shape and that shape changed when the frequency changed. Several medical doctors around the world had developed different models of “Sound Therapy” but mostly they used different forms of music to do the work. Dr. Peter Guy Manners a British Osteopath was very interested in Dr. Jenny’s work and set out to prove that sound can heal the human body. Dr. Manners later stated that, “A healthy organ will have its molecules working together in a harmonious relationship with each other and will be of the same pattern. If different sound patterns enter into the organ, the harmonious relationship could be upset…they may establish their disharmonious pattern in the organ, bone tissue, etc., and this is what we call disease. In other words, the results of his work and the research of many other scientists, was the identification of specific frequencies for specific cells or organs in our body. For example a healthy heart cell has its own frequency where as a lung cell has a different frequency and a muscle cell or nerve cell is again different. Science was able to identify what the actual frequencies were in healthy cells and discovered that while we are all different people, each of our heart cells, for example, vibrate at frequencies that are within a very narrow band, making it possible to replicate those frequencies and play them back to your body. 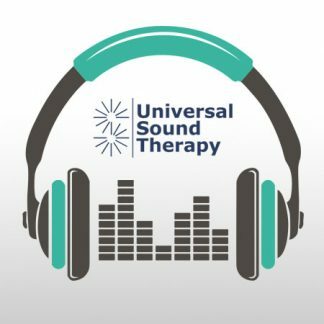 That is what we do at Universal Sound Therapy. We have the technology that enables us to play back to your body, the healthy frequencies where it should be vibrating. So, if you suffer from a broken bone, we would develop a series of frequencies, or a protocol that would have the correct frequencies to help heal the bone, reduce inflammation, and repair the nerves and surrounding muscles. If you work in an area where you are exposed to chemicals, for example a salon, we could provide you with a protocol that would work to clean and repair all of your internal organs, liver, lungs, kidneys etc. Your body would absorb those frequencies for healthy cells and start to make the changes needed to get back to its normal healthy state. What we provide is like a computer generated tuning fork, in the form of a CD, giving your body specific healthy frequencies for specific health related issues. We do not diagnose, prescribe or cure anything, we simply provide your body with the tools it needs to get and stay healthy.